Special function: Supports key programming via OBD II plug, applicable for most Japanese & Korean cars, Chinese cars, EU cars and American cars. Attention: Connect the adapter cable with device firstly! Then connect the cable with car OBD socket. 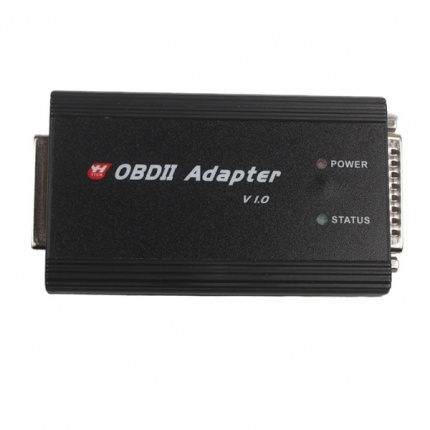 Prompt: To establish good communication with the OBDII adpater,, you should first connect the OBDII adpater with main unit (Key Master,CKM100 or Digimaster III), then connect to vehicle's OBD diagnostic socket. If you connect the OBDII adpater with car first and then connect to device main unit, it will burn the OBDII adpater.